I used ERA Organics on my little one about a year ago. She had really bad eczema and I wanted to try products that were natural. 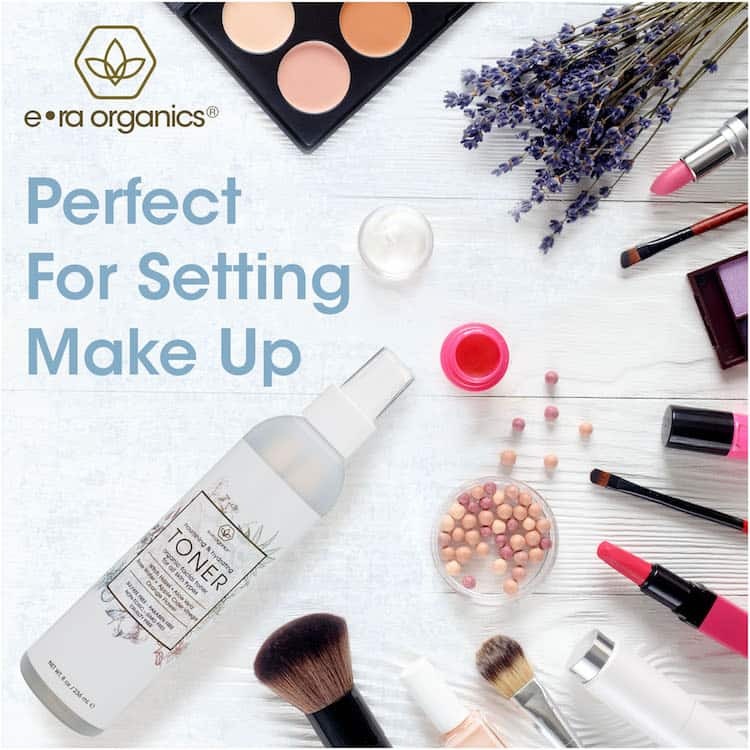 There are so many different products from ERA Organics. Good for all different skin types. It is always nice to find skin products that do not have chemicals in them. Natural ingredients are great to learn about too. Era Organics has put together a nighttime routine that will transform you skin. Start off by washing with their Tea Tree Cleanser to kill any acne-causing bacteria. 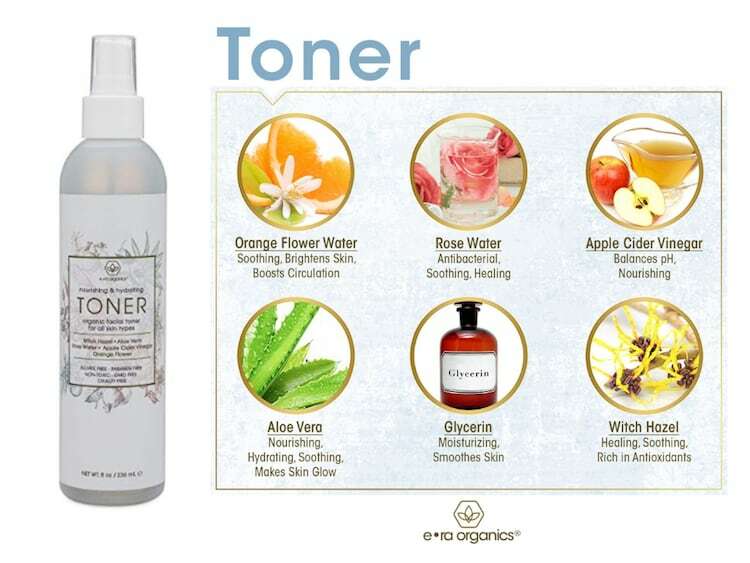 Then, spritz your face with their brand new, Rose Water and Apple Cider Vinegar Toner to balance the skin's pH, moisturize and soothe inflammation. Follow it up with Vitamin C Cream to boost collagen production, moisturize and improve your skin's texture. Finish the routine with their enzyme-rich Eye Balm to fill in those fine lines and wrinkles. Buy With Confidence. 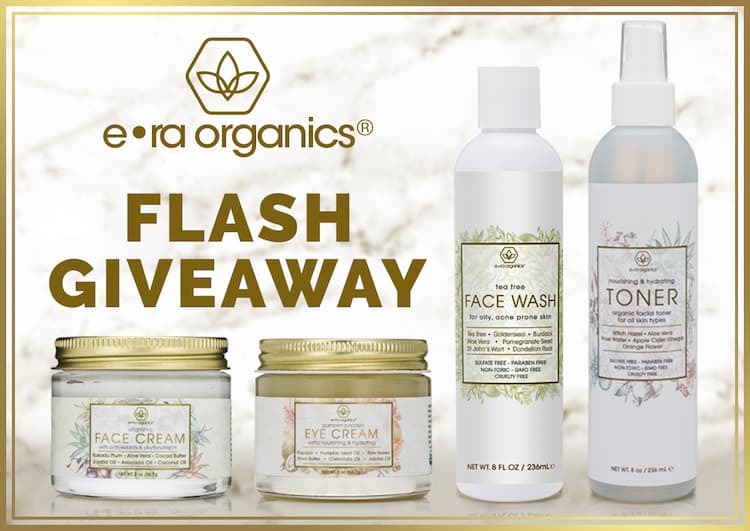 ERA Organics know how hard it is to find natural skin care products that work, which is why they offer a “Love Your Skin Or Your Money Back” 60 day guarantee. As a family owned company with products made in the USA, they take customer satisfaction quite seriously. Vitamin C is so good for your skin. I definitely want to try that cream.